The combination of rising borrowing costs, trade tensions and geopolitical threats are stressing financial markets, but with US growth looking strong and inflation heading higher will the Federal Reserve ease back? It wasn’t long ago when the big story in bond markets was the potential for an inverted yield curve. However, a 40 basis point rise in the 10-year Treasury yield over the past six weeks has put pay to that for now. The strong US growth and jobs story, combined with rising inflation has led the Federal Reserve to take a bolder position on the likely path for interest rates with officials clearly signalling a strong likelihood for four more rate rises over the next 15 months. However, this hasn't gone down well with equity markets who are deep in the red again today. 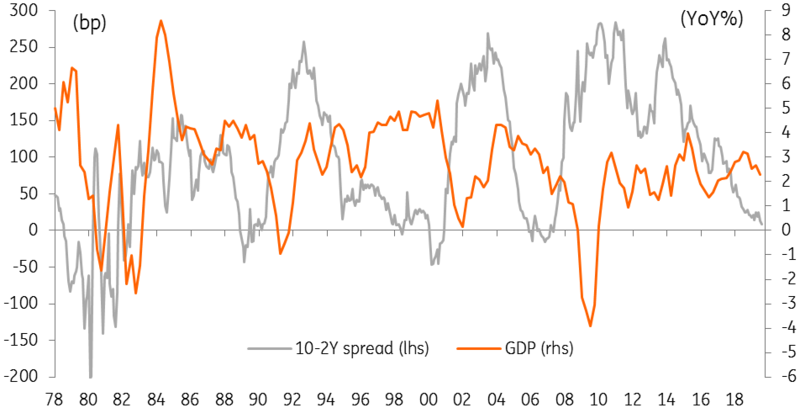 There is a sense that higher borrowing costs combined with escalating trade tensions, (which disrupt supply chains and increase costs) and ongoing external events such as emerging market problems and Italian budget woes, could exacerbate the downside risks for US activity. An equity market correction could then in turn compound the problems by hurting consumer and business sentiment and result in slower spending growth more broadly in the economy. We will have to wait and see whether these issues start feeding back into the Fed's thinking. If so, this could point to a slower path of rate hikes than the Fed are currently signalling. Certainly, today’s US inflation numbers were softer than expected with the annual rate of consumer price inflation slowing to 2.3% from 2.7% while the core (ex-food and energy) remained at 2.2% rather than rise to 2.3% as was expected. The problem though is that pipeline wage pressures, the effects of tariffs and higher energy costs are likely to push inflation higher in coming quarters. At the same time, economic activity is very strong with the Atlanta Federal Reserve’s GDPNow model suggesting the economy expanded at a 4.2% annualised rate in 3Q18. We see little reason to see a significant slowing in the fourth quarter, given the ongoing support from fiscal stimulus and the strength of the US jobs market. Furthermore, the S&P 500 is down “only”138 points versus the 291 point drop seen in January/February this year. Until there are clear signs that the economy is weakening, the Federal Reserve will probably continue raising interest rates “gradually”. As such, we continue to predict a December rate rise with three more hikes next year.